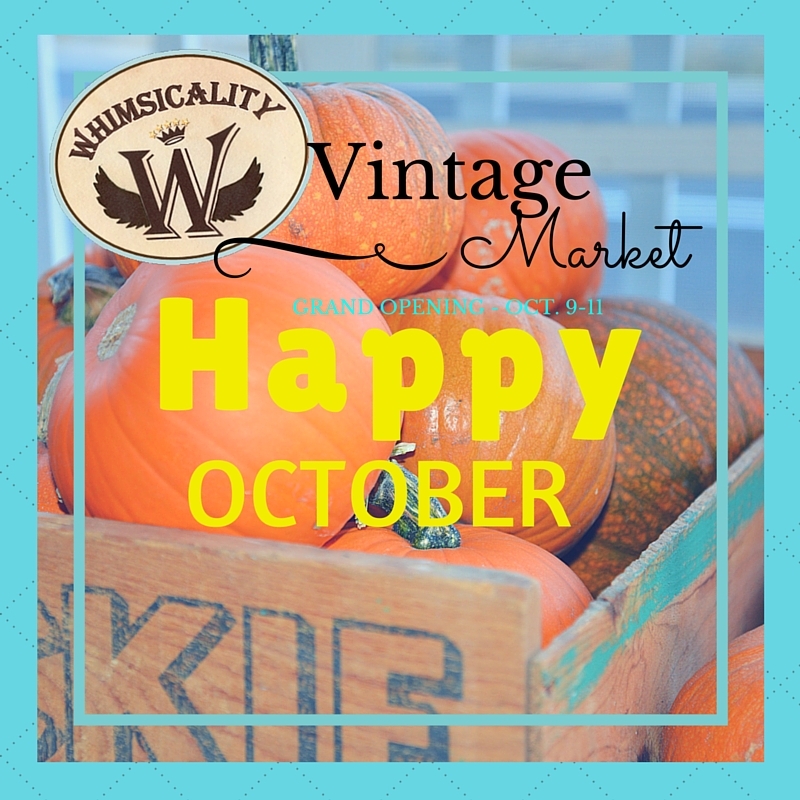 Calling all treasure hunters! 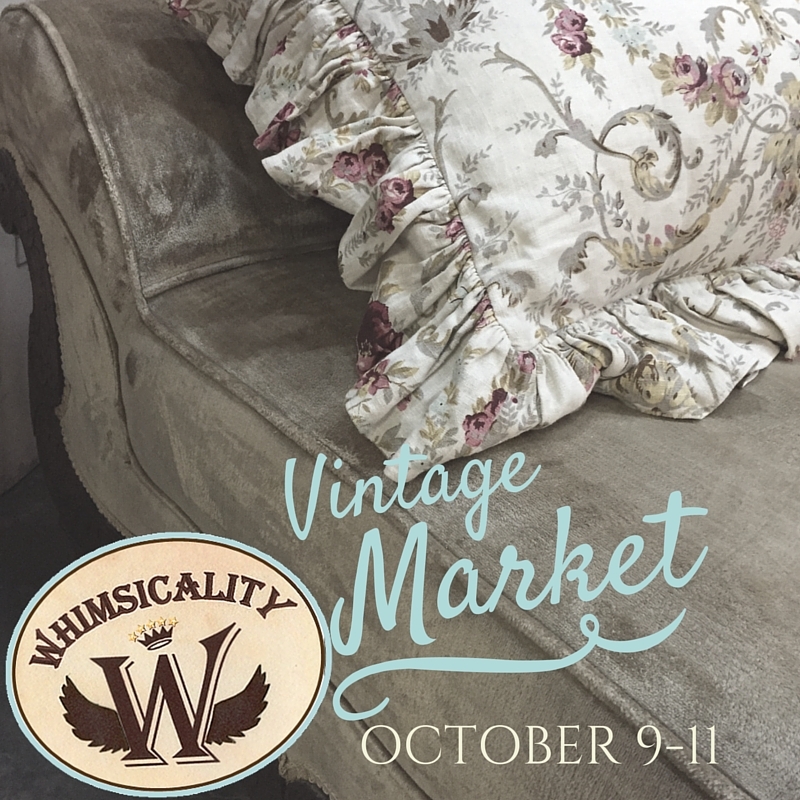 Join us for the Grand Opening of our all new Fall/Winter Whimsicality Vintage Market on Friday, October 9, 2015. 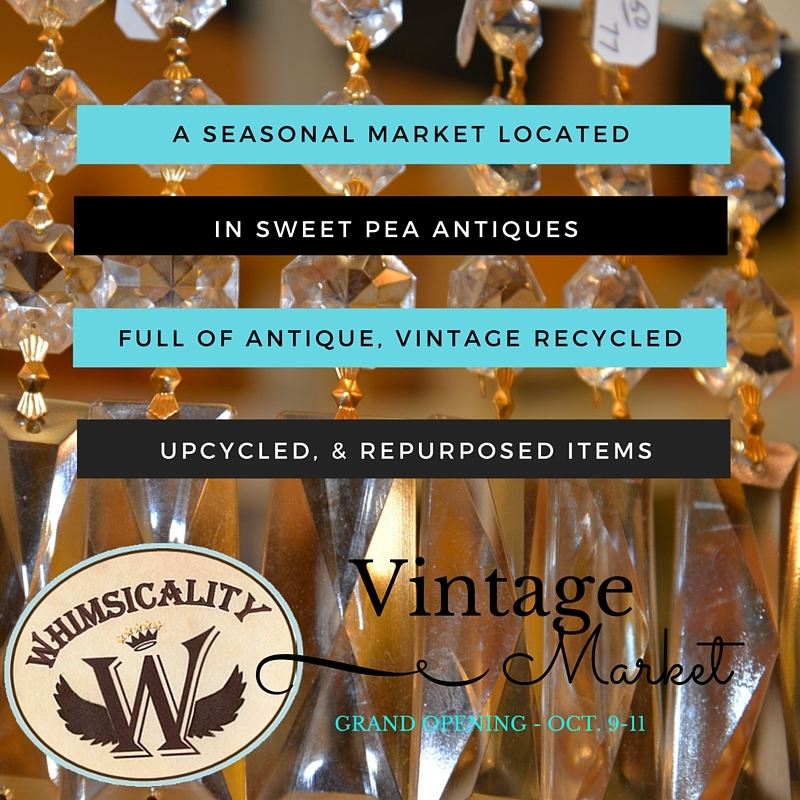 The Whimsicality Vintage Market is a seasonal market inside Sweet Pea Antiques. 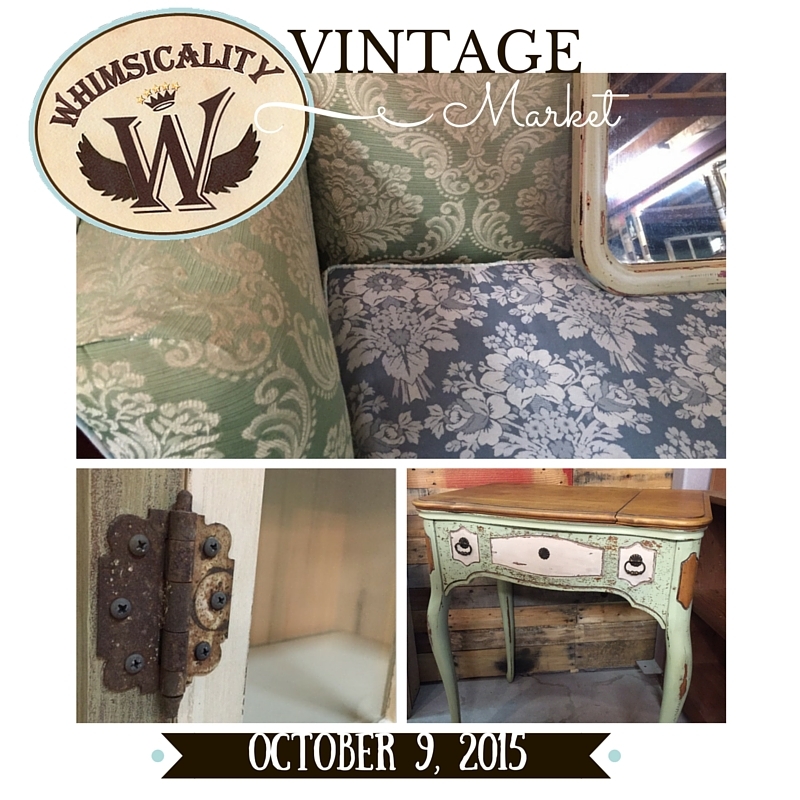 Our Market space is huge and will feature new vignettes and designs. 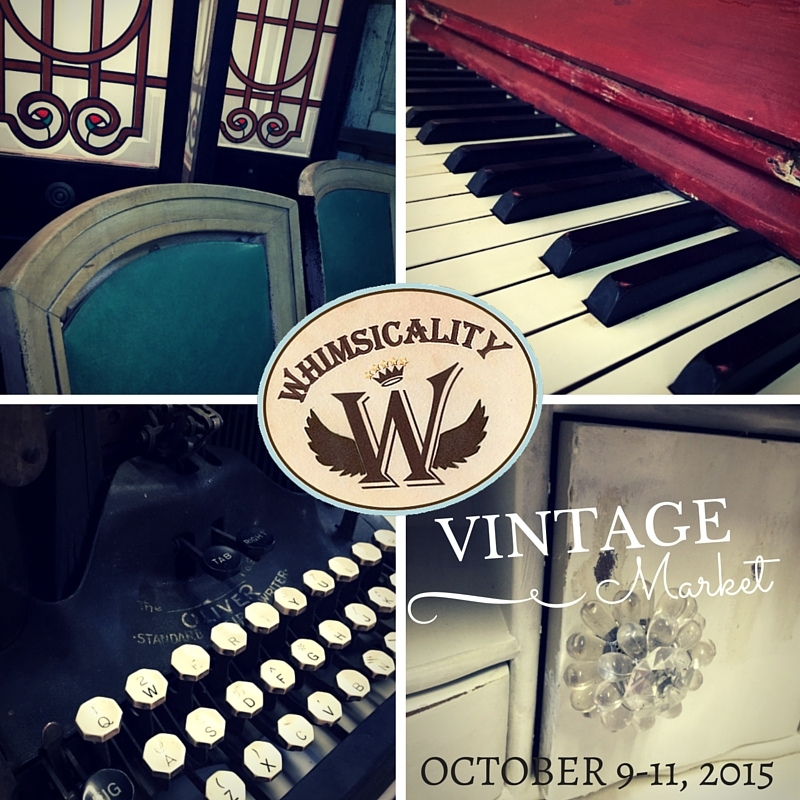 Thousands of items that are vintage, repurposed, upcycled and of course antique! You never know what you may find, but you will be enchanted and inspired! 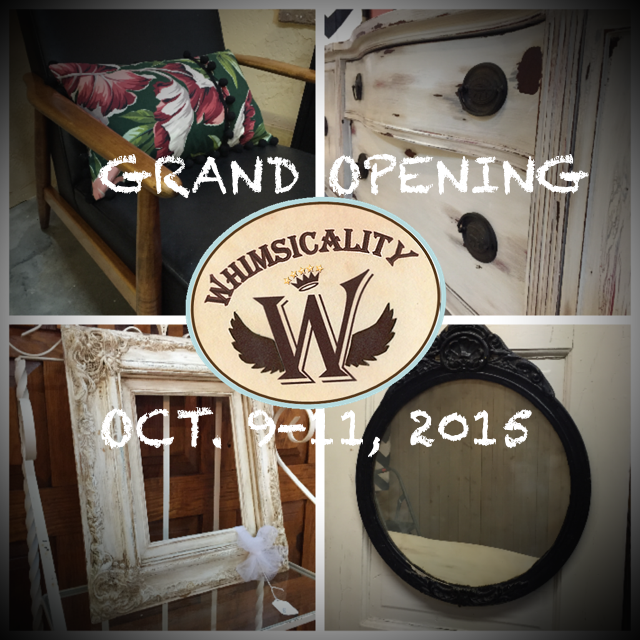 For the latest news keep up with us on Facebook, Instagram or Google+!